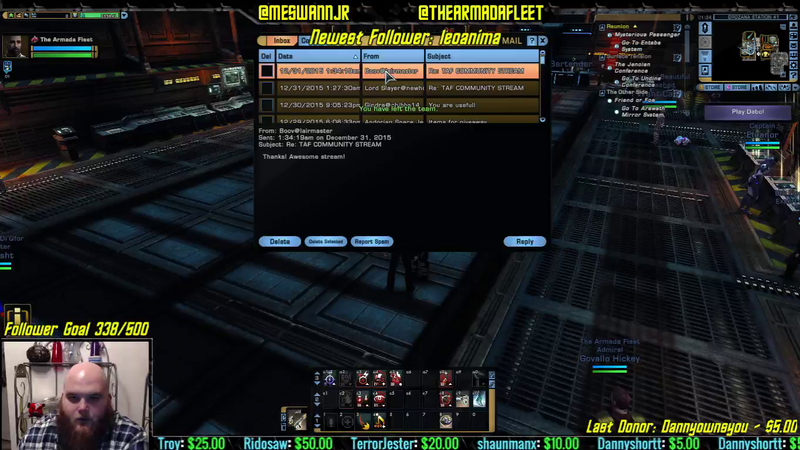 With our Fleet's Community Stream growing in popularity, it's time that we reevaluate its current time slot! So far the stream has been an amazing experience, but it can be better by getting more people involved! The only way for that to happen is to make sure that the stream is in a time slot that works for the most amount of people! Follow THIS LINK and input the times that you would be down to hang out for an hour and win cool prizes and learn more about Star Trek Online! Here's members of the DPS-Metals Admin team running ISA on fresh 60s. Super cool video and it's getting down voted hard by DPS-Numbers (Yay, more drama!) Everyone upvote and learn something! TAF has the #1 Rom, #1 Fed, and #1 KDF! We had our first Community Stream this past Tuesday, and it was simply amazing. It was single-handedly the most fun I've had hosting a stream! We'll be back next Tuesday at 8 PM PST! Be sure to show up for your chance to win cool prizes! We're starting a stream geared towards the community! Once a week we'll all meet up, hang out, run queues, and the staff will give away crazy awesome prizes! But for this to work, we need to find the time when we'll get the most people together! So GO HERE to submit your availability! Did you know that The Armada Fleet has a Facebook and Twitter presence? Did you know we're looking for some dedicated people to assist with running these social media accounts? If you're interested in assisting, just send Swann a message and he'll get it all set up. You can find our Facebook page here and our Twitter page here! There have been sightings of a strange cult in game following a blue man in robes. If you see these people, try to gather as much intelligence as you can. Here is a surveillance photo of some of the members.